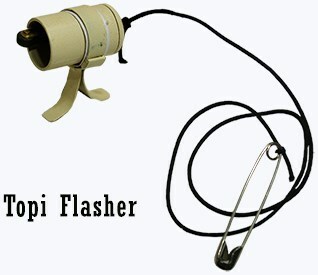 Topi Flasher is an unique gimmick which will help you to make a flash opening to your show. With this product the performer will be able to make a brilliant flash appear in their hand! All while being able to show an empty hand right afterwards, your audience will be entranced with amazement.